She did her homework, watched television and read a little bit. She had an excellent weekend because she went to the ancient theatre with Florent. I think so, because she says that Ahmed was really friendly and nice. Because her dad wanted to use the telephone. I think that she had a good time at les Baux with Ahmed and Florent, because she was happy and she liked Ahmed. How could you grow as a public speaker? There were many things that I learnt to grow as a better public speaker. The first thing I leaned is that eye contact is very important. It is not just to see the audience but it is to catch the audience’s attention. If you are looking at them, the audiences are more likely to pay you the attention you want. The second is that I need to act. You have to act confident, even if you are not. You have to act as if you meant it, even if you make a mistake. The last is that I need to be energetic. Loud voice, happy expression and so on. These will not only catch the audiences’ attention but they are more likely to like it. By doing these, I think that I would be able to improve more as a better public speaker. There are many opportunities outside of drama to do a public speaking. For example in my GIN CAS. There were times when I had to talk in front of people regarding my service action, such as in assembly and in Red and White Concert. Another example is in other subjects. I did a presentation or speech in individuals and societies and Japanese. Therefore, before the next time I talk in front of people I would like to be a better public speaker. I did a persuasive speech on junk food in drama class. There were many things that I felt before and during the speech. Before the speech I was nervous but as I started and continued, I felt more confident. I also think that the palm cards really helped me. While I was doing the speech, there were times when I forgot the word and got lost, but I looked at the palm card and got the idea of what I was talking about. There were also things that I did well and things that I could improve on. Firstly, I think that I was able to maintain eye contact with the audience. I tried to look at the audience and only look at the palm cards when necessary. Secondly, I think I was able to organise the speech well, with intro, key points and conclusion. However there are many things that I could improve on and these are, to project my voice, to flow the speech more consistently and pronunciation of words. I think my voice was a little small at first and could have been projected more. To flow my speech more consistently, I could practice more so I know exactly what I will say and don’t get lost. Lastly to pronounce words more clearly, I could also practice more. There are many times and events in my life that I could use persuasive speech in my life. For example in job interviews. I would have to persuade the instructor why I should get the job. Also, persuasive speech can be used when raising an awareness about an issue. I would have to tell people how that issue is an issue that must be fixed and tell them how it can be fixed. I would have to be very persuasive so that people will understand and help the issue the way they can. As you can see, there are many times and events in my life when I can use persuasive speech. There were many things that I learnt about persuasive speech in this unit. I learnt that knowing how to structure my speech is one of most useful and important thing for speech. This is because the structure of a speech can make the speech more persuasive, and easy to follow and understand. If the structure was not well constructed, the speech will be jumping from one point to another and that will confuse the audience. I also learnt that it is important to be able to present my speech well. There will be a lot of difference between presenting my speech confidently and presenting it unconfidently. The audience will not listen or be persuaded by people who are not confident. The presenter must be persuaded himself/herself and act confident even if he/she wasn’t and don’t show even made a mistake. By making a good speech and presenting it well, the audience will be more persuaded. Côte d’Ivoire is a country in West Africa. Its off icial language is French because it was colonised by France. Côte d’Ivoire became independent in 1960. There are also many religions in Côte d’Ivoire such as Islam, Christianity and African religions. Agriculture is very important for Côte d’Ivoire as it is the main source of its economical growth. There are many food products that are specific to Côte d’Ivoire but the main ones are yams, cassava, cocoa, coffee and rice. Cocoa is the biggest export of Côte d’Ivoire and 20% of the exports are cocoa. These food products are used a lot in Ivorian diet. 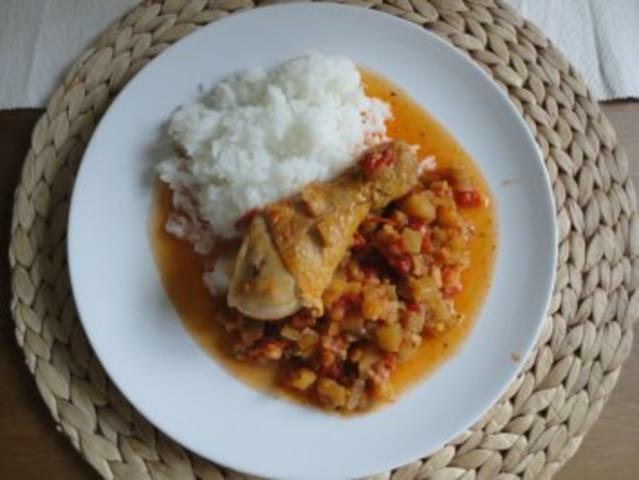 For example, there is a traditional dish called “Fufu” in Côte d’Ivoire. The ingredients of this dish is cassava and plantains. Since cassava is one of the main crops in Côte d’Ivoire, this shows that the Ivorians seems to use what they grow to cook their dishes. Another example is a traditional dish which is baked yams. Again, yams are one of the main crop Ivorians grow in Côte d’Ivoire, so the specific foods of the country are used in the country’s diet. Some specific dishes of Côte d’Ivoire are Kedjenou, Fufu, Calalou and Arachid sauce. They are all traditional and they are made at homes, restaurants and many other places. Kedjenou is one of the traditional local food in Côte d’Ivoire. In Côte d’Ivoire, there are many religions, such as African religions, Christianity, Islam and so on. For Muslims, there is a period of time in the ninth month of Islamic calendar called Ramadan. In Ramadan, people fast from sunrise to sunset. At the end of Ramadan, there is a ceremony called Eid al-Fitr and in this ceremony, there will be feasts, and Muslims sacrifice sheep, camel or an ox to the God. Kedjenou is a cuisine that is eaten in Eid al-Fitr as the feast at the end of Ramadan. This is meat and vegetable sauce. The recipe is from this source. Put the chicken, tomatoes, onions, garlic, ginger and bay leaf in a casserole dish. Put a lid on. The lid should be tight-fitting and thick so that the steam will not escape. Put the casserole on medium to high heat. When the ingredients start to simmer, turn the heat down to medium to low. Put the casserole away from the heat and do not remove the lid. Shake the casserole to stir the contents inside so it will cook evenly. Repeat this procedure every 5 minutes for 35 to 40 minutes. Place the contents of the casserole on a warm plate. Serve the dish with rice. I think that the Ivorian diet is healthy because of several reasons. The first reason is because they use a lot of vegetables. There are many important nutrients in vegetables. As you can see from the recipe of the traditional dish, Kedjenou, there are many vegetables such as tomatoes, onions, ginger, garlic and onions. The second reason is because it is traditional and made by hand. Ivorian diets do not have any factory made chemical or anything that is unhealthy for the body. The third reason is because of the balance. In Ivorian food, there are vegetables, meat and rice. These three things are very well balanced together. From these three reasons, I would say that he Ivorian diet is healthy. I believe that our diet is influenced by our culture. Côte d’Ivoire was colonised by France before and this has influenced food products as well as way of eating. For example, the French wanted to increase the export of the country back when it was colonised and this led to the high export now with cocoa and tropical fruits. To answer the question “Tell me what you eat and I will tell you what you are”, I think that it is important to eat good food in order to be healthy and fit. This is because if you keep eating food that it not do good, you body will not be healthy or fit. However by eating good food, your body will get nutrients and other important things for your body, making your body healthy and fit. “Learn About Cote D’Ivoire.” Africacom. Africa.com, 2015. Web. 17 Dec. 2015. <http://www.africa.com/cote-divoire/about/>. “Côte D’Ivoire.” Food in Every Country. Food in Every Country, n.d. Web. 17 Dec. 2015. <http://www.foodbycountry.com/Algeria-to-France/C-te-d-Ivoire.html>. “CÔte D’Ivoire.” Culture of Côte D’Ivoire. Countries and Their Culture, n.d. Web. 17 Dec. 2015. <http://www.everyculture.com/Bo-Co/C-te-d-Ivoire.html>. “Côte D’ivoire – Agriculture.” Agriculture. Nations Encyclopedia, n.d. Web. 17 Dec. 2015. <http://www.nationsencyclopedia.com/Africa/C-te-D-ivoire-AGRICULTURE.html>. “Cote D’Ivoire.” OEC. OEC, 2013. Web. 17 Dec. 2015. <http://atlas.media.mit.edu/en/profile/country/civ/>.